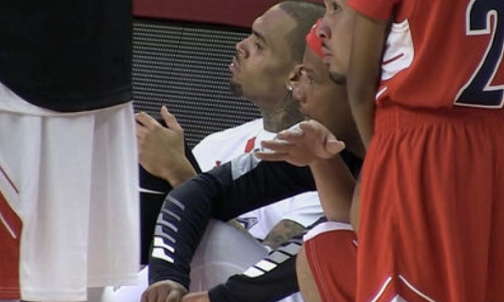 Chris Brown stayed sitting as the national anthem played before a charity basketball game in Los Angeles. The 27-year-old singer, who was arrested last week, became the latest star to join 49ers quarterback Colin Kaepernick's protest against police brutality and racial inequality in America. NFL stars joined the demonstration as stadiums across the country marked the 15th anniversary of 9/11.